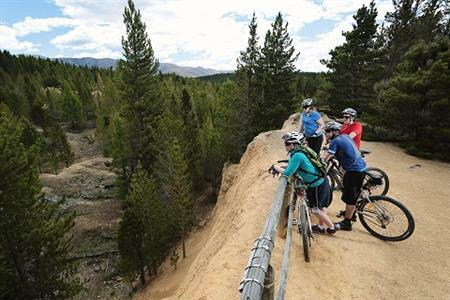 The Otago Central Rail Trail will take you on a recreational passage of discovery, revealing truly breathtaking treasures not readily accessible by any other means and unlike any other in New Zealand. 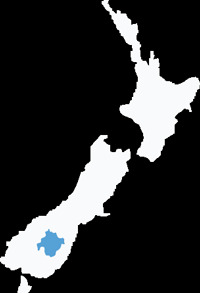 This is a journey into the region’s heartland of ever-changing mountainous, dry, rocky landscapes, productive farmland, spectacular river gorges, tunnels, viaducts, thriving townships, old stone and mud-brick dwellings and preserved gold mining settlements – shaped and seasoned by the harsh, continental climatic extremes unique to Central Otago. 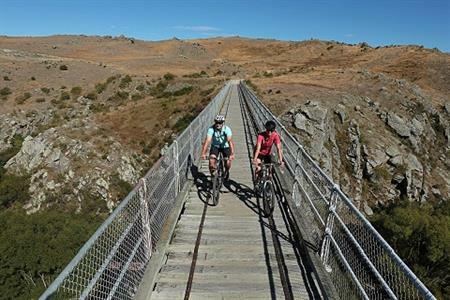 The Otago Central Rail Trail is New Zealand's Original Great Ride and extends 150 kilometres along the former railway route between Middlemarch and Clyde. 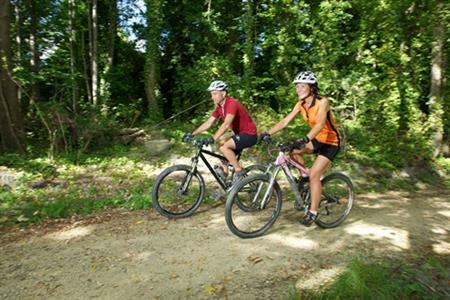 Its wide gravel (stony) path has a gentle 1 to 50 gradient, making it ideal for walkers, cyclists and horse riders. It offers something for everyone. 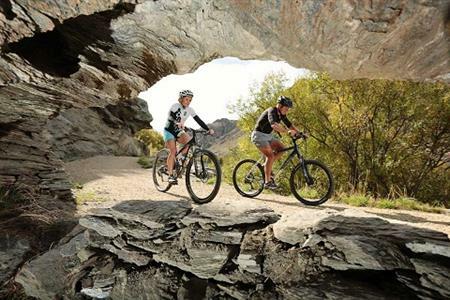 Mountain bike enthusiasts will find scope to test their fitness and endurance and relish the off-trail opportunities to explore the back country and alpine areas. 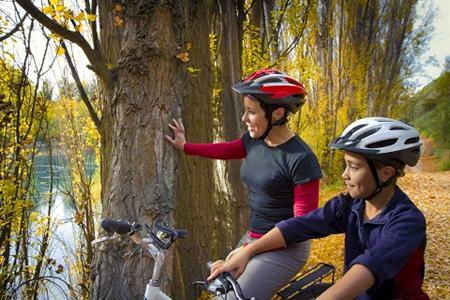 Recreational cyclists and walkers will achieve their goals with a reasonable level of fitness and without negotiating any steep hills. Along the way there are many opportunities to meet the pioneer-spirited locals and to take detours and side trips to unique places – dams, gold mining relics, the country’s only international curling rink, and so much more. 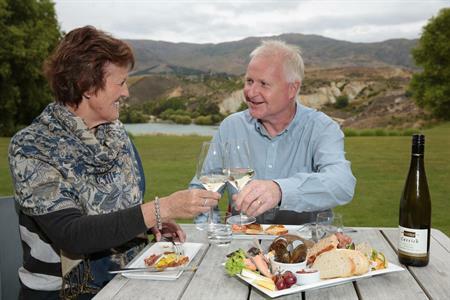 Travelling the Central Otago Rail Trail also offers you the chance to immerse yourself in the history and romance of the railway and the gold rush. 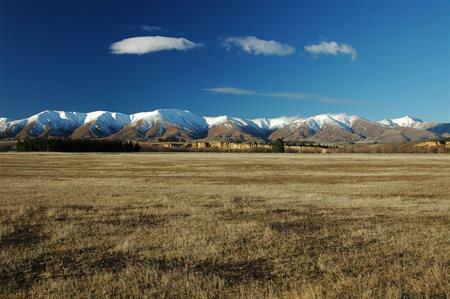 Whatever your interest, the Central Otago Rail Trail will give you the solitude to reflect, amid the transforming light of expansive skies and vast landscapes. 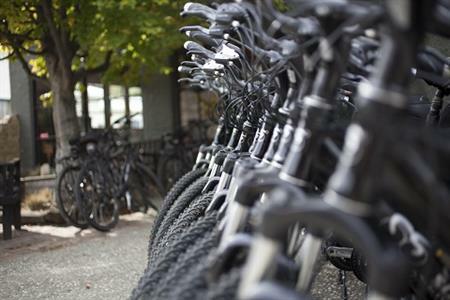 Ride it, walk it, experience it!